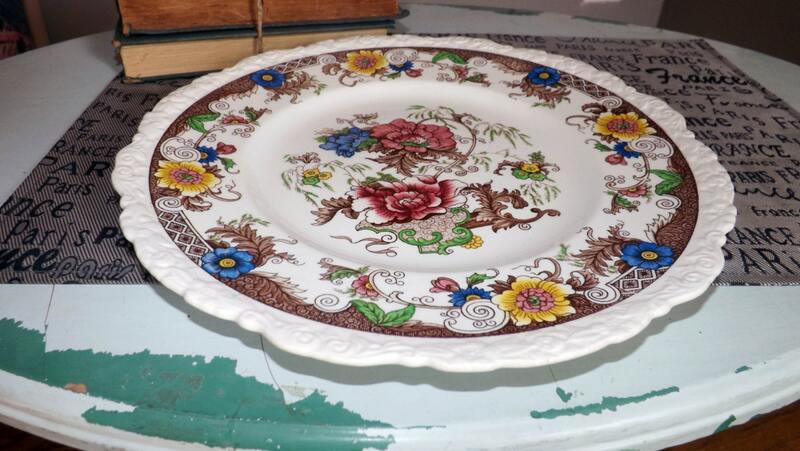 Almost antique (1920s) Royal Cauldon Bentick X2279 hand-painted Chinoiserie-style large dinner plate or charger. Multicolor florals. 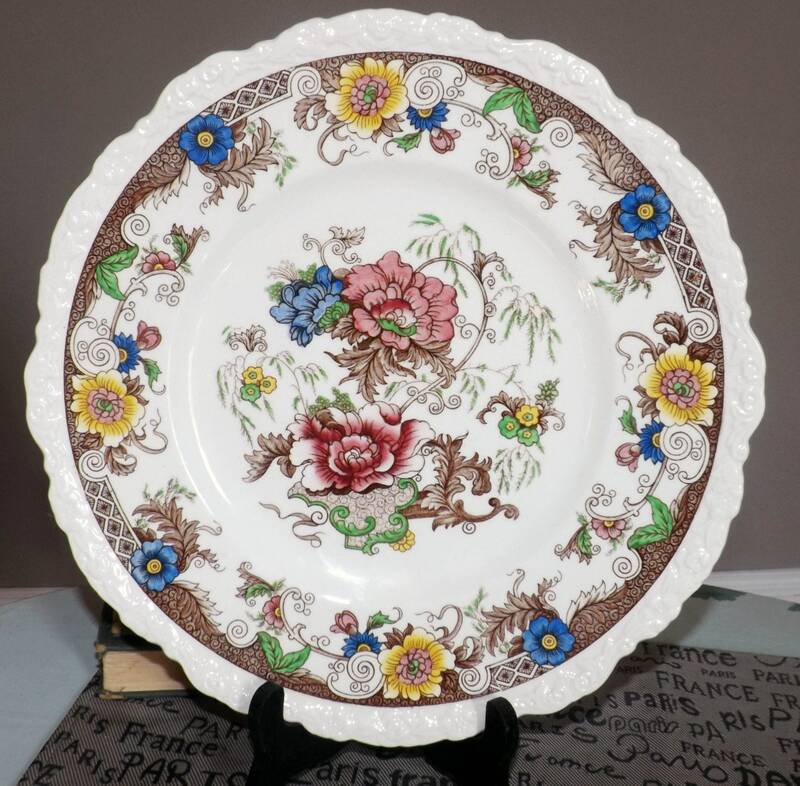 Almost antique (late 1920s) Cauldon | Royal Cauldon Bentick X2279 hand-painted Chinoiserie-style large dinner plate or charger. 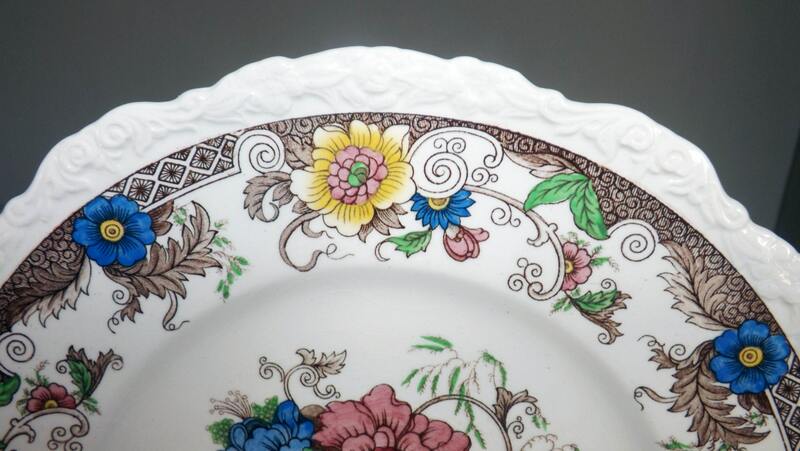 Multicolor florals, embossed floral creamware edge. Bentick 2279 was one of Royal Cauldon's most prized early mid-century patterns and is very hard to find and collectible. This dinner plate is in EXCELLENT! condition with NO! chips, nicks, cracks, or fleabites, MINIMAL! crazing (but there is some so do - ALWAYS! - review the posted photos for a complete visual of the item(s) and NO! marks, stains, scratches or other signs of use or wear. 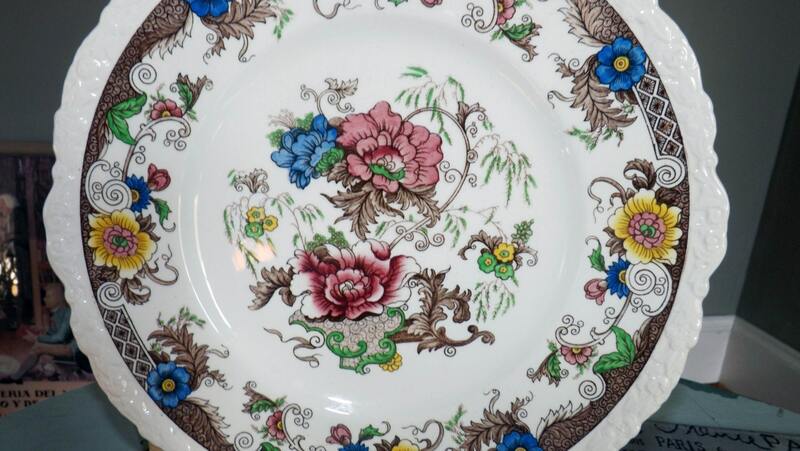 The hand-painted multicolor, Chinoiserie-style florals are bright and vivid with NO! noted fading. 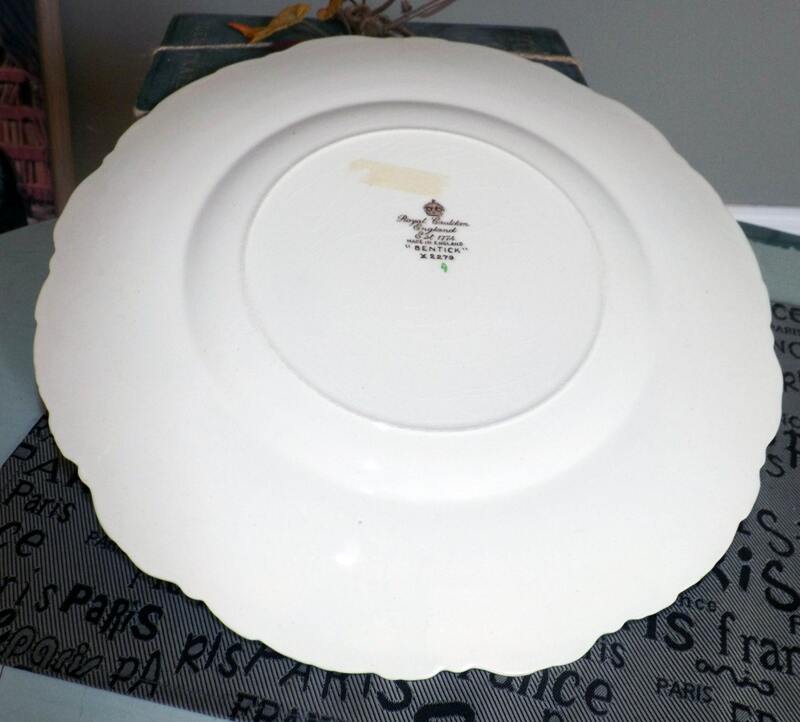 There is a spot of tape residue to the reverse of the plate, suggesting it has likely been on display for most of its life and not used. Approximate measurements: 12" in diameter with an embossed edge.